WE ARE THE LEADING MANUFATURES OF SINGLE SIDER RIGID PCPS. IN FR2,FR4,CEM AND ALUMINUMS PCP. Aluminium Base metal core PCBs are very good Heat sink used for High power LED light applications. It is of Paramount important to use MC PCBs to achieve long life for very costly High power LEDs. Our MC PCBs are widely used in Street lights, down lights, spot lights, strip lights, navigation obstruction lights etc. We supply LED lights & Fixtures for Bulb (1-12w),Tube lights, Down lights, Cup lights, Flood lights, Street lights, High bay lights, drivers etc. Please find herewith we have attached catalog of MCPCBs, LED lights & Accessories for your reference. We, "Buljin ELMEC Pvt. 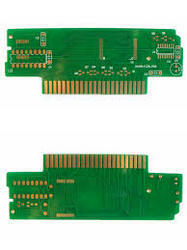 Ltd." are acknowledged as distinguished manufacturer and supplier of an impeccable gamut of Aluminum Base Metal Core PCB's. In this range we offer Downlights, Spotlights, Strip Cove Lights, Street light, Flood Lights, Retrofit LED Tube Light, Led Light Parts, Led Light Fixtures, Led Lights, Led Street Lights, Ceiling Lights and Flood Lights. In addition to this, we offer Ceiling Lights, Feet Tube Light, Cup Light, Driver, Led Lights, Led Light Accessories Thermal Tape and many more. Furthermore, product-gamut which we offer is in compliance with the defined parameters of the industry, signifying its high and incomparable standards. Keeping in mind divergent demands of the clients, we offer this gamut in different specifications and watts. Along with this, our clients can avail this entire gamut in customization forms made as per their detailed specifications. Our organization is bolstered by a team of diligent professionals and sound infrastructure setup. Team which we strengthened with, comprises qualified and experienced professionals. These professionals hold expertise over their respective domain and proficiently carry out entire production and managerial activities. It also keeps stringent vigil on the evolving requirements of the clients with the technology and strive to meet their requirements with suitable solutions. Furthermore, infrastructure which we are backed is outfitted with latest machinery and amenities that are required for developing products as per the industry laid parameters. To make timely delivery at the clients' premises, we have made our infrastructure setup linked with all the transportation modes. Apart from our product-gamut, we strive to derive optimum satisfaction of the clients with our ethical business practice. Owing to our client-centric approaches, we have been able to meet requirements of the significant names of the industry such as S.R.M, Chennai (Tamil Nadu), Bajaj Auto, Mumbai, (Maharashtra) and G.E, Bangalore (Karnataka).